As has been seen, the "second wave" of Italian-style comedy actors were almost always from Northern Italy, introducing into the world of comedy, situations and figures, mentalities and customs far removed from the traditional Roman milieu. By no accident, the script-writers were also different. Cochi Ponzoni and Renato Pozzetto are Milanese. As "Cochi and Renato" they appeared in cabaret theaters around the end of the 1960s and from there went on to television where they presented their repertoire in a series of highly popular broadcasts, both in shows of their own and as entertainers. 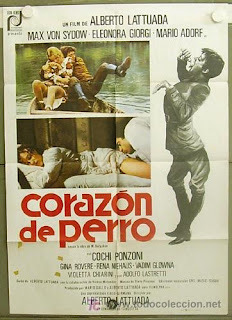 Skinny, properly groomed, restrained in word and gesture, Cochi served as a counter-attraction of the more conspicuous humor of Renato, fat and indolent, with the drooping eyelids of the hypocritical "lamb". Without the help of important scripts, mostly improvising, Cochi and Renato were the kings of "nonsense". They made a point of looking provincial, with their Milanese Italian, their little daily experiences as nice lower middle-class youngsters. Which is the very reason for their popularity: their brand of humor (delightful, certain little songs with utterly absurd texts) did not have people rolling in the aisles as happened with the older generation of comedians, but sought rather to keep audiences on an intermediate, but constant level of merriment, also with fleeting, but lucid glimpses of sadness. In motion pictures, even though they did make some films together, their paths divided right from the start. Cochi, resuming his full name, Cochi Ponzoni, aimed at carefully constructed characterizations that were different on each occasion. His most important picture was perhaps CUORI DI CANE (A DOG'S HEART: 1976) by Alberto Lattuada, from the fine allegorical novel by Nikolai Bulgakov. Moscow in the immediate post-revolutionary years, the years of Lenin, reconstructed with great figurative imagination in the Cinecitta studios (utilizing basically the same set as Fellini's AMARCORD), is the setting of the strange adventure of the dog, Bobikov, whom a scientist, with a complicated operation, changes into a man, only to change him back into a dog when the man claims his spiritual independence, his freedom. The film, like the novel, is an allegory of the period of the NEP ("New Economic Policy") and uses the dog to portray the proletariat admitted to the Palace of Power but then driven out again by the de facto alliance between the new Soviet bourgeoisie and the surviving Czarist bourgeoisie. In this grotesque, bitter parable, in which satire is a vehicle for sharp historical criticism, only an actor of great resources like Cochi Ponzoni could manage the transition, not so much physical as psychological and spiritual, of the dog into a man, which on the one hand means the transition from instinct to reason, on the other the discovery of the tender feelings of the heart.